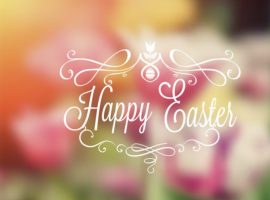 Easter is a special time to gather with your family and celebrate the resurrection of Jesus Christ. Branson is the perfect place to come together and make memories during this weekend. Keeter Center at College of the Ozarks: The brunch at the Keeter Center features a wide variety of options. Enjoy classics like ham with honey pear glaze, pork loin with pepper jelly, smoked prime rib, biscuits and gravy, waffles, a variety of vegetables and fruit, and much more. For dessert, try raspberry white chocolate bread pudding, carrot cake, or lavender macarons! Chateau on the Lake Grille: Find a variety of breakfast items, carved meats, fruit, salads, desserts, and more! Center Stage: Enjoy favorites such as pit ham, chicken tenderloins, smoked salmon mousse, shrimp, seasonal vegetables, biscuits and gravy, praline french toast, an array of salads, and a homemade dessert buffet. If you’re looking for an extra special meal, head to Main Street Lake Marina at the Branson Landing. They are offering an Easter cruise with a 3-course meal. This meal will include: a salad, fontina and herb-stuffed pork loin, glazed carrots, potato fondant, and more. Dessert is a lemon custard tart with blueberries, and white chocolate curls. On top of excellent dining options, there are numerous shops open during Easter weekend. Check out the Branson Landing and Tanger for special deals during this time! You won’t regret spending Easter weekend in Branson. Begin planning your trip now!